LPe provided structural engineering services to provide retail facilities in this historic Franklin facility. Interior mezzanines, connectors, and stairs have been added inside the existing building shell. LPe provided Structural engineering support for the renovation of this wood/load-bearing masonry structure for restaurant/office use. LPe renovated this structure from the early 1900’s into Town Square offices and meeting facilities. LPe’s structural engineering services included observation and analysis of the existing theater structure in the town square, which was later used for offices. 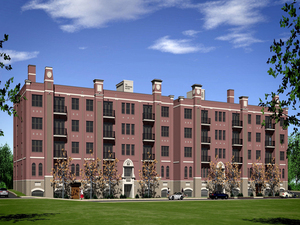 LPe provided structural engineering services to renovate this five-story historic facility. The structure consists of steel frames and masonry walls. The slope includes the addition of one vertical level, addition of residential lofts, interior vehicular parking, new elevators and stairs. LPe provided structural engineering services for the renovation of these two historic facilities on Nashville’s Printers alley. The existing building has been converted into residential units. LPe’s structural engineering services include the partial demolition and renovation of an existing wood / load bearing masonry structure into residential units.